Perenjori 360 2019 Entries are Open! Entries for the first round of the 2019 CAMS, Western Australian Off Road Racing Championship are now open. 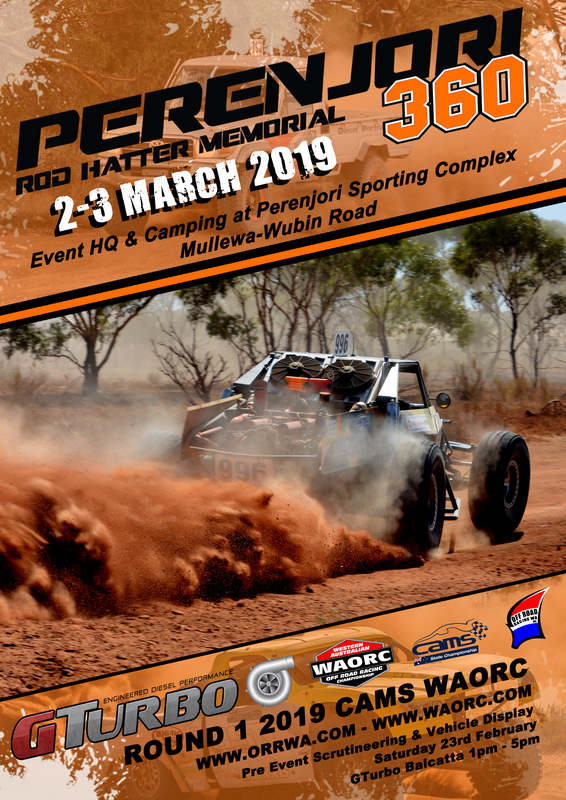 The Rod Hatter Memorial, GTurbo Perenjori 360 is set to kick off the season in spectacular fashion.